The second book in the new Project Artemis romantic suspense series by New York Times and USA Today bestselling author K.M. Scott and Anina Collins! Kate Sheridan thought she had a handle on life. She had a good job as a legal assistant, great friends, and a life in New Orleans she enjoyed. Until that life came apart at the seams. Now her boss is dead, murdered along with one of his clients, and Kate is on the run from the police who think she's a prime suspect. And things are going to get worse before they get better because what her boss stumbled upon involves far more than just some personal injury case in the Big Easy. Roman Gregory is proud of his work with Project Artemis. After spending years as an Army Ranger, he's committed to helping women in danger. He's one of the members Nick and Persephone can always rely on to solve a case and get the client's life back to normal because he never lets anyone get in his way of handling a problem. And he never lets anyone get close. Then he's given the assignment in New Orleans and everything changes. But will protecting Kate be something he can do without letting her in? After The Storm is the second book in the Project Artemis series. It’s a great book! It’s suspenseful, hot and a little emotional. I loved it more than the first book. In The Darkness, the first book, I learned why and who created Project Artemis. Project Artemis is a group of men that help women who are in danger. 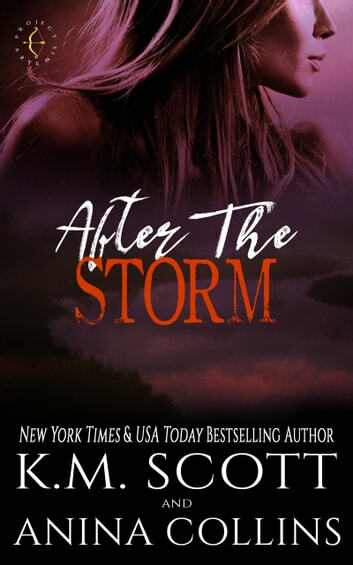 After The Storm tells us Roman and Kate’s love story. Roman is one of those men that protect women in danger. He’s strong, protective, smart, powerful and closed off. He loves silence and being alone. Roman loves his job at Project Artemis and he would do anything to protect a woman. It has been a long time since Roman has known love and he has been hurt in the past. He can’t fall in love, or he will lose his job. He thought he would never have a problem with that rule, but then he meets Kate. Kate is smart, sweet, genuine and hardworking. She is definitely in danger. Her boss and one of his clients have been murdered. Her boss once told her that the case was very big and to not trust the police. Kate isn’t sure what to do, but she knows she needs to hide. Not long after that, a man named Roman finds her and tells her that he will protect her from that moment. Kate is hesitant, but Roman doesn’t go without a fight. Kate is very determined to find out who wants to kill her. It’s so much bigger than she ever expected, but Roman is always by her side. Roman and Kate are amazing characters. I really liked them together. There was a chemistry between them from the start, but it took a while before they did something about it. Roman keeps his distant and Kate isn’t sure who to trust. Roman and Kate can’t imagine not being together in the end. This is the second book in the Project Artemis Series. I absolutely love romantic suspense and I love the story of Kate and Roman. The story is well written and entertaining, like the first book in the Series. The storyline is filled with action, suspense, mystery and drama. I can't wait for the next book in the Series! I voluntarily reviewed an Advanced Reader Copy of this book. A perfect combination of suspense and romance! Book two takes us on a journey with Roman and dear Kate. Roman has been alone and about to crawl out of his skin until he is called for a mission for Project Artemis. I knew there was going to be immediate chemistry as Roman saw a picture of their client Kate. Kate is headstrong, independent, but there is just some innocence in her. Maybe it is the good and kindness in her heart. She stirs so much trouble when Roman comes into the picture, I didn't know if I wanted to laugh or cry for him. The suspense has you trying to wrack your brain on what the heck is the happening. We know Kate was a by stander, but why are there so many people after her? Even though this is based on the mystery and keep you on your toes with the guessing, you get the sizzling romance with these characters. When you think Roman has everything inside his head figured out, you find yourself gasping as he may lost his world in an instant. I am hooked with these series and can't wait for book 3! I love these characters and the team Persephone and Nick created! !